The Broadway Bound Speciality DSP pack is very sophisticated. If you like elements of black, gold and silver foiling then this pack is perfect. 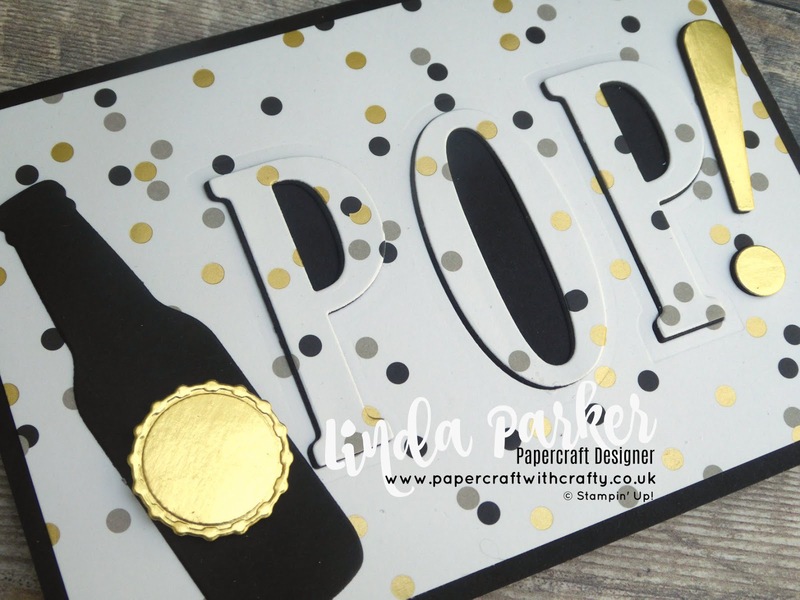 For today's sassy project, I have gone with another fun Eclipse Card, combining my Large Letters Framelits with the Bottles and Bubbles Framelits for a really fun card that I think just "POPS" ! There are some really gorgeous designs in the Broadway Bound Speciality DSP pack and I have used mine to make bags and boxes too. Well that's it from me for today. Thanks for dropping by and please POP back ! Happy crafting and happy stamping everybody.